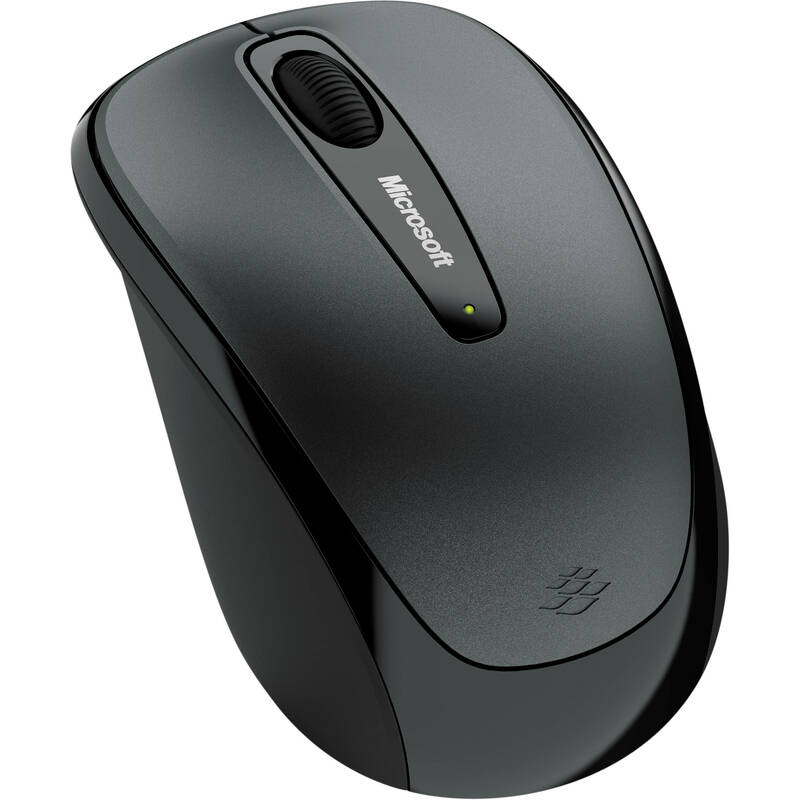 The Microsoft Wireless Mobile Mouse 3500 for Business is a wireless mouse that offers control for right or left handed users and compatibility with Windows and Mac systems. Its use of Microsoft's BlueTrack technology means it combines the power of optical tracking with the precision of laser tracking, and it works on a variety of surfaces. It features a handy nano transceiver that plugs in for use on-the-go or stows away inside the mouse. This mouse offers a long battery life and an on/off switch to further conserve the battery for extended use. Box Dimensions (LxWxH) 5.2 x 5.2 x 2.4"
Wireless Mobile Mouse 3500 for Business is rated 4.0 out of 5 by 4. Rated 2 out of 5 by Mouseketeer from Not as good as the non-business model The first wireless Microsoft mouse I owned lasted for several years. The battery door was the weak design aspect. That's been corrected in this model. But, this model (at least the mouse I received) has a super weak spring on the middle roller/button, and it's much too easy to press it when trying to scroll with it. Rated 4 out of 5 by MontsterB from Good for the price Home use. Inexpensive mouse. Pretty durable, third one in our house. One of them, the rubber is loose on the outside, but still works. The other two no problems at all. I installed the mouse chip in my computer and the problem with is solved .what does the device do? If you are referring to the on/off switch, turn the mouse over. It's on the bottom side in the depression where the USB dongle slides into.